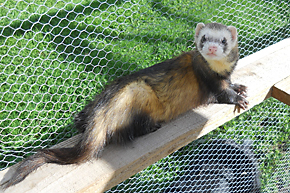 Ferrets were first domesticated by the Egyptians over two thousand years ago and are believed to have been introduced into Europe by the Crusaders from the 10th to the 12th centuries. They are strong, lively and inquisitive animals with soft and glossy fur which can be in a variety of colours including brown, white, black and mixed. They are becoming increasingly popular as pets and are easy to look after. 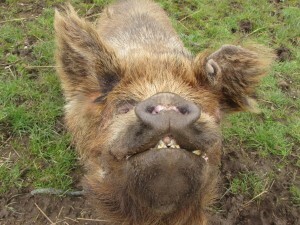 Kune Kune pigs are thought to have been introduced into New Zealand in the early 19th century, hence their Maori name. It’s pronounced cooney cooney and means fat and round! They have hairy coats in a range of colours such as black and white, brown, cream or tan. 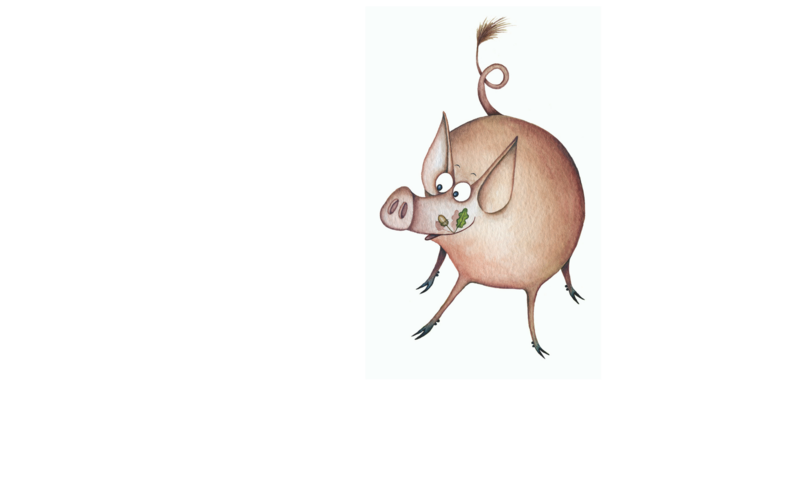 In the 1970s, the Kune Kune pig almost became extinct, but thanks initially to the work and dedication of two wildlife park owners, the species survived. In 1992, a few were imported into Britain and now the breed is no longer a threatened species. They are delightful animals with a friendly and placid nature. They like human company and have become very popular as pets. They are very easy to train and some people even keep them indoors. When you meet Dennis and Gnasher, Murton Farm’s own Kune Kune pigs we’re sure that you, too, will just adore these endearing animals. 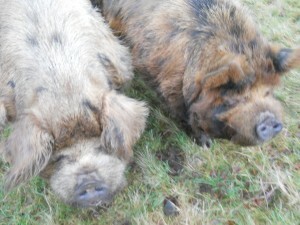 Ernie and Floppy are brothers and have always lived together; they came to Murton in November 2012. They love chasing each other around their field and meeting all our visitors. We are very grateful to Arlene and Remo Medinelli for their generous and substantial donation towards the purchase of Ernie & Floppy, without which we would have been unable to secure these amazing animals. 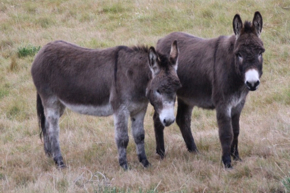 Donkeys in the UK are mostly a grey dun colour, however some can be brown or black. Donkeys, like horses are measured in hands and can stand between 10 and 14 hands high. They are normally friendly and inquisitive animals. Entry to the nature reserve is free. 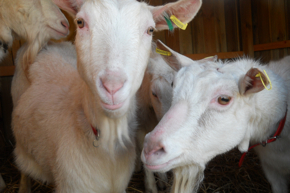 See the Murton Farm page for details about entrance fees to the farm. 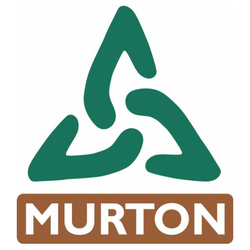 Murton Trust is situated on the A932 about 2.5 miles east of Forfar on the road to Arbroath. JP Coaches now have a bus service that stops in our car park. The route number is 117 and the details can be found on the Angus Council website. Our bus route is on page 14 of the timetable.